As teachers, you don't get enough credit for the fantastic job you do. But you still have your sense of humor, thats why you need this funny teaching t-shirt! 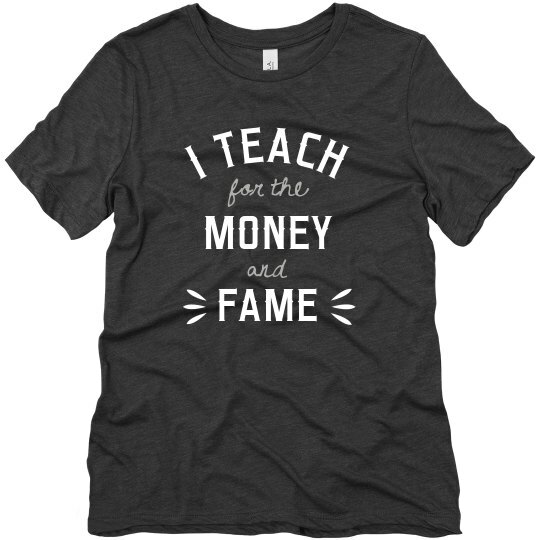 Because maybe someday you will get the money and fame part.